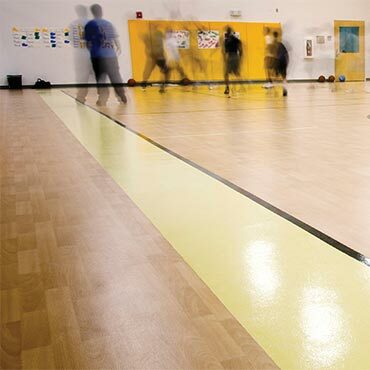 Johnsonite Sports flooring includes a wide range of multi-functional and sports rubber flooring. 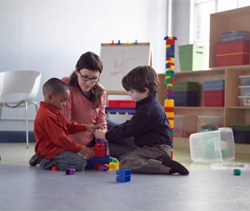 They're designed to work for all kinds of people performing all kinds of activities. Choose from an array of colors, patterns, textures and thicknesses. With a unique installation system, Transcend SureSet takes high-end designs and partners them with high-end performance. 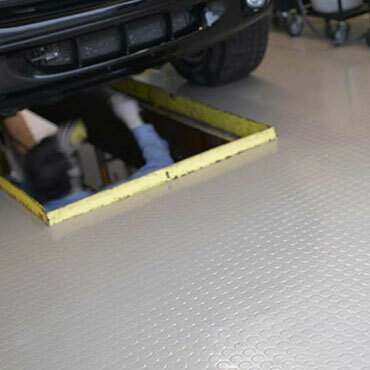 SureSet Technology allows for simple, fast installation and stands up to high traffic areas, absorbs sound and can be installed in areas with high moisture levels in the subfloor. A unique, sculpted backing system with pre-applied adhesive allows for flexible, easy installation in which planks and tiles and repositionable and easy to remove. 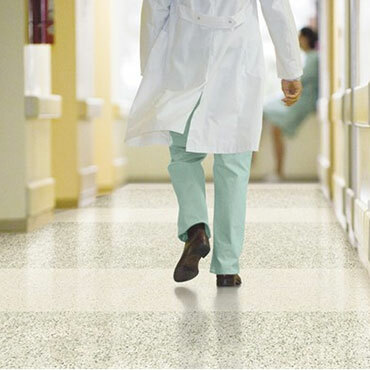 Color Essence SR is a low-maintenance VET commercial flooring solution in a wide selection of colorways to suit many types of interior design in a multitude of segments and applications. Following a proper maintenance program can greatly reduce life-cycle costs for a real lifetime return. Made in the USA. Engineered to work most anywhere petroleum products, animal fats and vegetable oils are present. Defiant meets ASTM specifications D-471 for Oil and Grease Resistance and F-925 for Chemical Resistance to assure you the best protection available. Toro SC has low electrical resistance (104 to 106 ohms), making it a safer, aesthetically pleasing choice in producing, repairing, storing or the using of electronic devices. 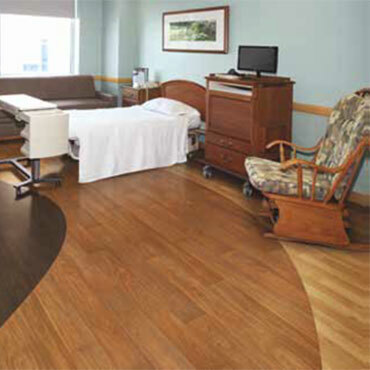 Acczent Wood Safe-T flooring gives a natural wood look plus slip resistance. This distinct composition also makes the floors easier to maintain, which means greater return on your investment. Available in four coordinating colors to Acczent Wood, Acczent Safe-T is ideal for housing, healthcare, school and retail environments. We strive to help our customers redefine their interior environments so they become investments in human capital, rather than simply operating expenses. As the leader in specialty flooring industry, we’re showing clients how integrating design with life-safety can enhance employee productivity and help companies attract, motivate and retain the best talent. 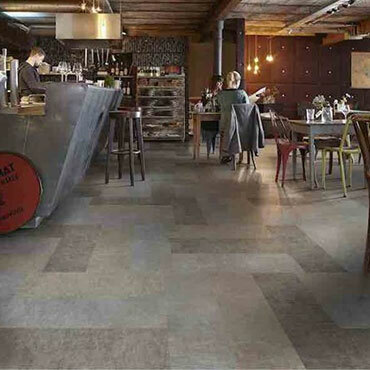 This integrated approach to interior space may not be what you expect from a flooring company. But we’re used to doing things differently. 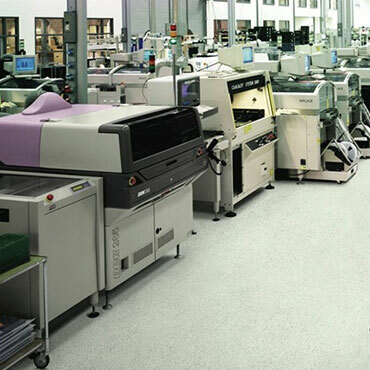 Innovation is in our company’s DNA and has been for over 100 years. In 1920 our predecessor company, in an effort to address our customers’ concerns, developed the first integrated steel pail with rubber gaskets. This new pail, which replaced the wooden pail, provided environmental benefits by reducing the need for timber and preventing leakage of toxic materials in the coatings industry. Responding to customers has always been at the core of our business, a century ago and today.